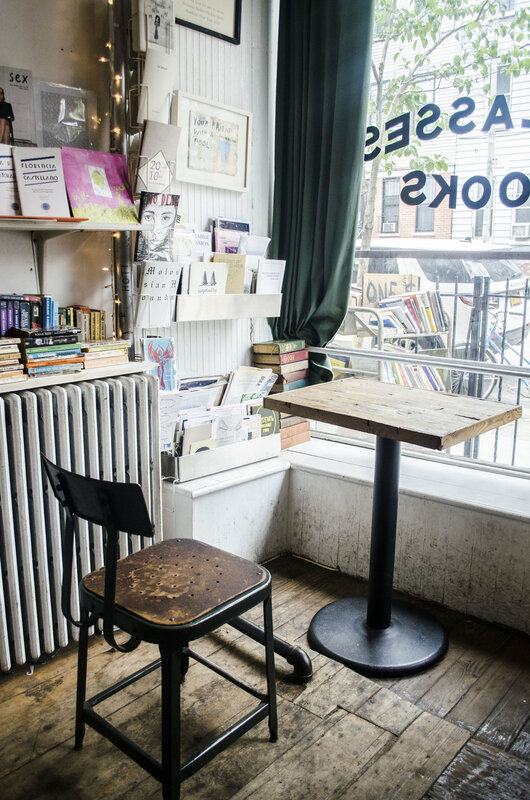 Recommended by passersby like Grace Miceli, Katie Garcia, Carrie Schaff, and Nicole Hokayem, the shop is known for selling used books on the cheap (yes, actually), being the pioneer of Bushwick's lit scene, and of course, its liquor license. I stopped by Molasses Books for a leisurely browse through their stacks. With a bar serving coffee, wine and beer alongside its stacks of used books for sale, Molasses is more than just a bookstore, and their hours are further proof: they're open from 10am to 12am daily, so night owls don't have to cut their browsing short. In addition to buying and selling old books, the space hosts events like readings, meetings, DJs, and happy hour daily from 6-8pm. If you're looking for a place to turn over your old books so somebody else can enjoy them, or trying to find something new to read, head over to Molasses Books.